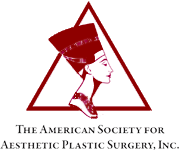 Over 20 years experience in cosmetic and reconstructive plastic surgery is available at Carolina Plastic Surgery. Dr. John Lettieri is board certified in plastic surgery and have experience in more than a dozen countries. We have two fully accredited (AAAASF) operating rooms open to serve you and three satellite offices give you more options. Multiple lasers and non-surgical treatment options are used for your skin care. The Cutera Pearl and Pearl Fractional laser is our most recent addition providing minimal down time for laser skin rejuvenation of the face and neck. Comprehensive skin cancer surgeries ensure all margins are microscopically assessed before immediate reconstruction during the same out-patient surgical procedure. Local or general anesthesia is available according to your needs. 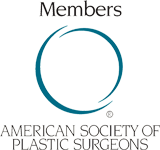 Breast augmentation, breast reduction, and breast reconstruction are performed in Carolina Plastic Surgery. Carpal tunnel release and many types of hand surgery are provided in our operating rooms. Dr. Lettieri has completed fellowship training in hand surgery. With literally thousands of satisfied hand patients. Liposuction for small or large areas compliments many other cosmetic surgical options for body contouring and sculpturing. Buttocks augmentation using only your own tissues moves fat tissue from where you do not want it to where it will enhance your figure. We have over 5 years experience in optimizing buttocks contouring.